A Garlic A Day Keeps The Vampires Away was inspired by Vampires! 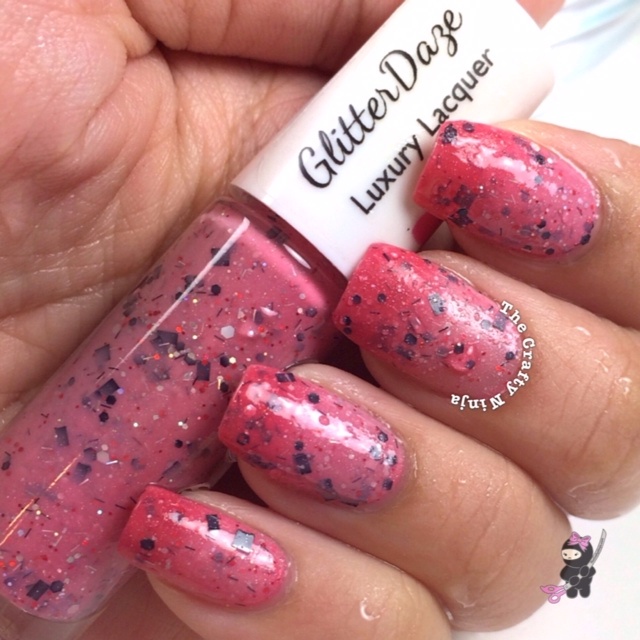 This is a limited edition Halloween nail polish by GlitterDaze. This thermal nail polish stays white in the warmer temperature and in cold water to a dark pink or reddish color. A milky white base with full of different color glitter shapes and sizes in black, white, and red. 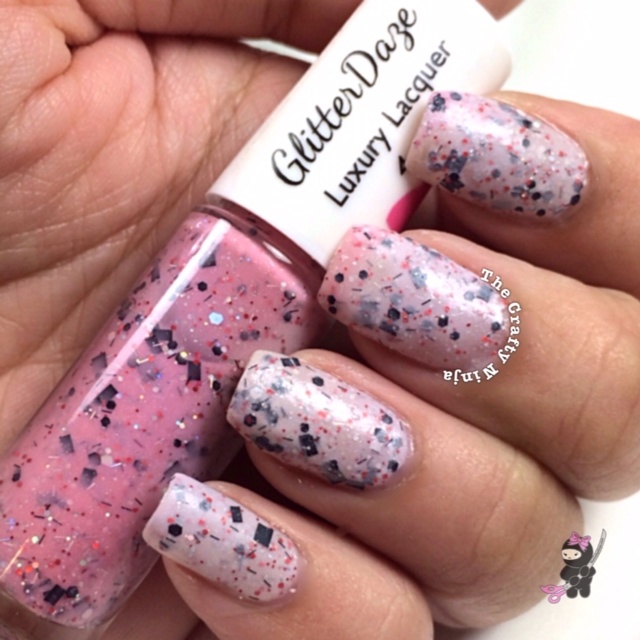 This is one of the coolest nail polishes ever! It’s like having a science experiment on my nails. I applied three thin coats for a full coverage. 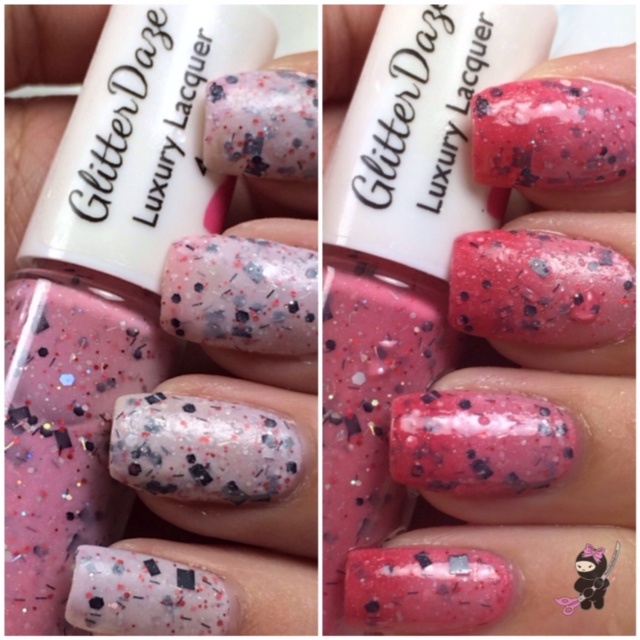 Don’t forget to check out GlitterDaze Nail Polishes! A Garlic A Day Keeps The Vampires Away is a white color when the temperature is warm. A Garlic A Day Keeps The Vampires Away turns into a dark pink or red color when you put your nails into cold water or when the temperature is cold.